Being from Norfolk I have to say that I feel so lucky that we live so close to the beautiful coastline. Breathing in the fresh sea air of the tranquil coast, walk on unspoiled sand where my little girl can build sandcastles, paddle, have a picnic, you are certainly not short of a few ideas. Being only a few hours drive away from the Lincolnshire coastline makes our adventures the more exciting with miles and miles of gorgeous sandy beaches. You can choose from the bustling resorts like Skegness, Mablethorpe and Cleethorpes. 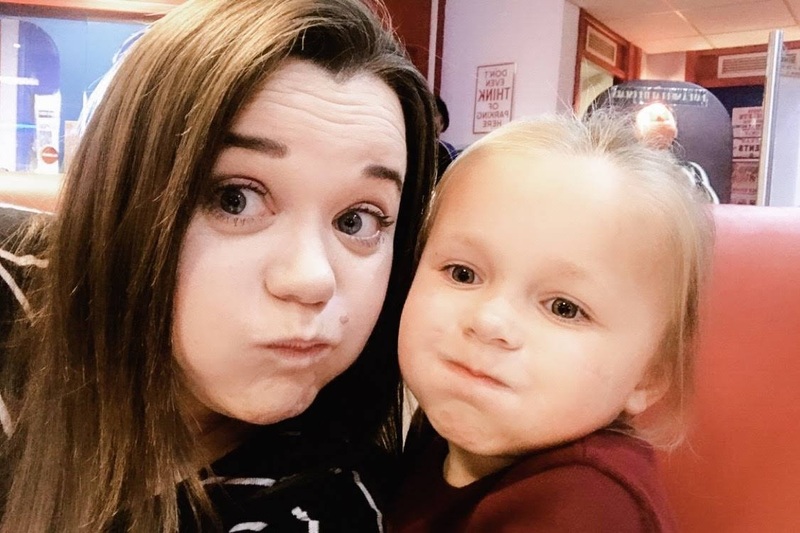 A personal favourite has to be Skegness with rollercoaster rides and a seal sanctuary there’s also plenty for kids to enjoy, whether it’s the thrills of a ride or the joy of seeing seal pups on their way back to being reintroduced to the wild. Skegness has something for everyone. A while back you may remember that we celebrated my husband's birthday and stayed at Grange Farm Park, and during our stay there were a couple of days where we decided to bundle ourselves in the car in the hopes to find adventure further afield, and we found ourselves at Skegness. You are certainly not short of a thing or two to do. 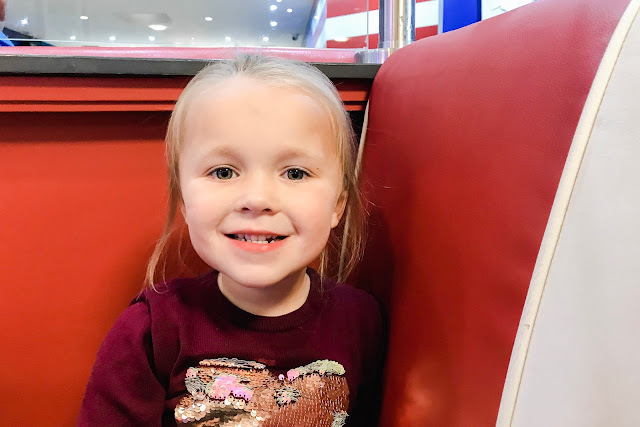 We walked along the the beach, played in the amusements, pick up some sweet treats and ate at one of the most amazing restaurants; The Hollywood Bar and Diner just inside the Skegness Pier. We arrived in the afternoon and already the place had a great atmosphere with feel-good music in the background and the most amazing smell of food as you walked by. Well, personally I thought that this was a great start to our afternoon. We were welcomed by a lovely member of staff who was more than friendly explaining what was on offer and how we order food. The interior of the restaurant is very modern, with a American diner feel. I really loved the look of it. Inside the restaurant was a bowling alley and on the other side was a bar, something for everyone. The actual food menu as a whole is amazing, there is so much selection and something for everyone. I have visited American Style Diners before, but this was something else. We decided against appetizers since we wanted to demolish our burgers. When it comes to burgers I do love a good cheeseburger. I went for the Smokey Joe Burger that was beef burger covered with melted cheese, crispy smoky bacon, picked gherkin, beef tomato, caramelised onion all covered in a smoky barbecue sauce, coming in at £6.45. My husband on the other hand went for something with a little kick and decided to try the Spicy Chorizo Burger that was a 4oz beef burger, juicy chorizo, accompanied by onion rings, picked gherkin, beef tomato and a chill sauce on top coming in at £7.60. 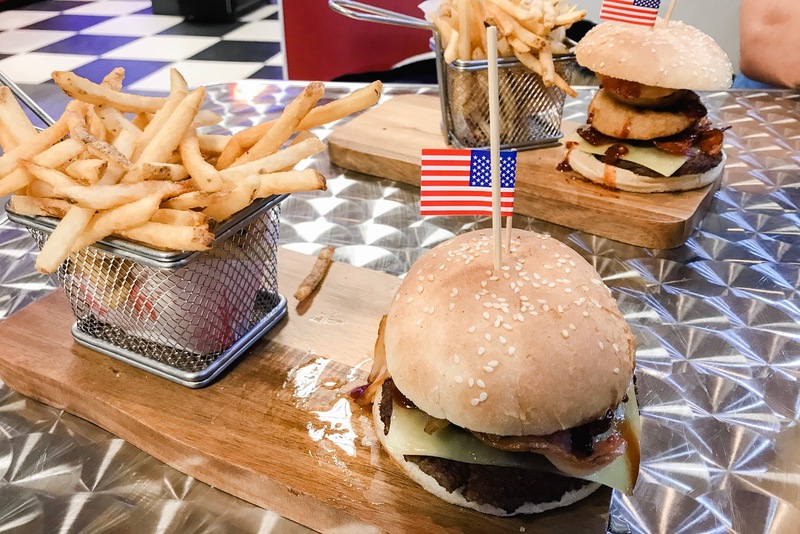 Every burger is served with a seeded bun with fries, curly fries or wedges and salad garnish, both my husband and I decided to get the fries. For the little one she decided on the Mississippi Goujons. These crispy chicken breast strips were coated in a southern fried chicken crispy batter and were pretty good. Considering that this was a child's portion, she got six sticks on her plate, normally she can only have two or three so the portions were really good. These Mississippi Goujons were served with skin on french fries, salad and a tomato relish, coming in at £3.95. If your mouth isn’t watering by now, then what’s wrong with you?! Just look at these plates. 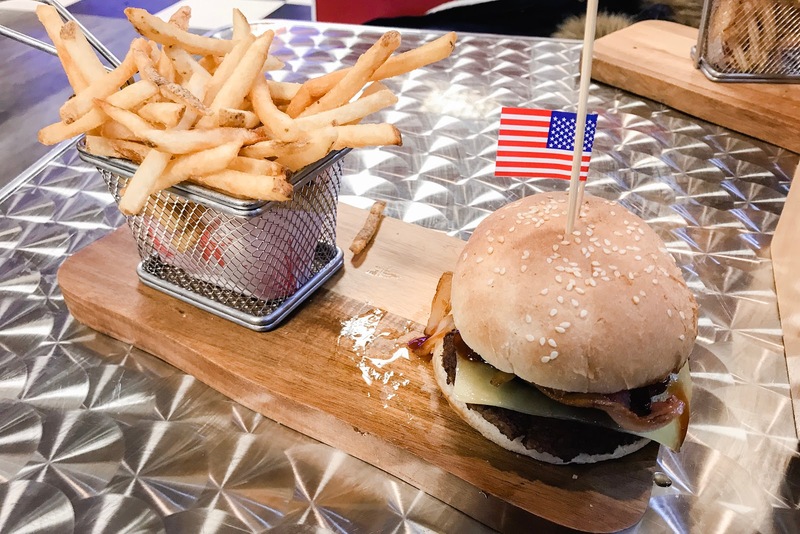 Our meals were superb, the burger meats were so so juicy and chunky which combined with the melted cheese and thick bacon was scrumptious.The fries were delicious too cooked to perfection. You can actually upgrade your fries or swap for curly fries or wedges. I really wanted to try the loaded fries, but decided on skin on fries. Our daughter gave her meal top marks too. However, she couldn't eat all the strips as we all left with rather full stomachs. 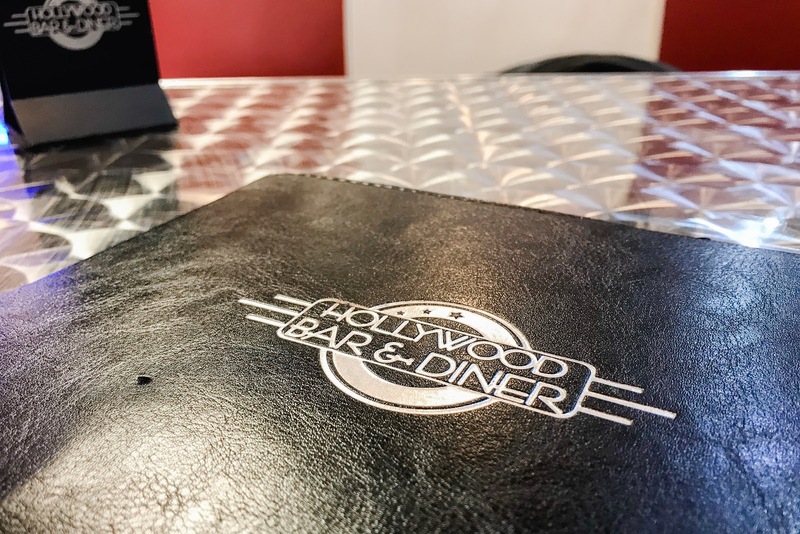 Overall our burgers were extremely tasty and I think that everyone to go and try Hollywood Bar and Diner. This little place was a big hit with the little lady as she was devouring her chicken sticks and chips. 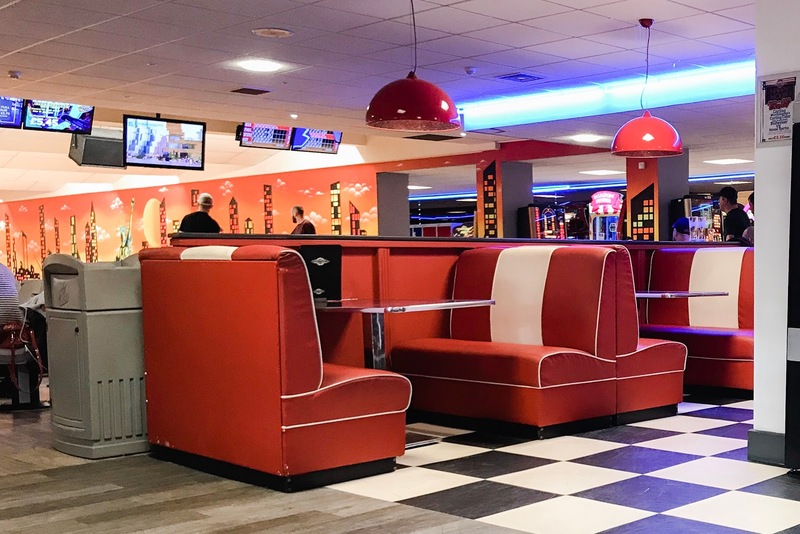 Personally, this place is so good if you're in the hunt for a good burger, it's hidden away inside the Skegness Pier so it's not easy to find. But it's a gem. We had a fantastic afternoon at The Hollywood Bar and Diner and we will certainly be back again soon. They always have deals and specials available on their food menus. 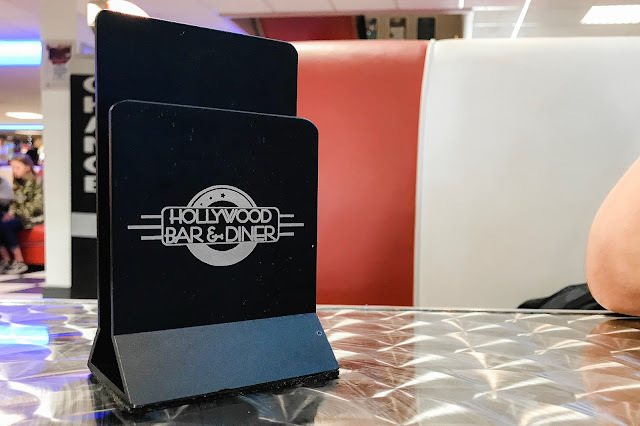 I like this place because it had a bar and bowling alley ensuring that families are more than occupied during their time at The Hollywood Bar and Diner. A big winner! Are you a single Mum longing to take your children on holiday to Disneyland Paris? Are you worried about your safety whilst travelling alone? Well, don't worry there are ways to have a fun trip along with your children, all you need is a little bit of planning. 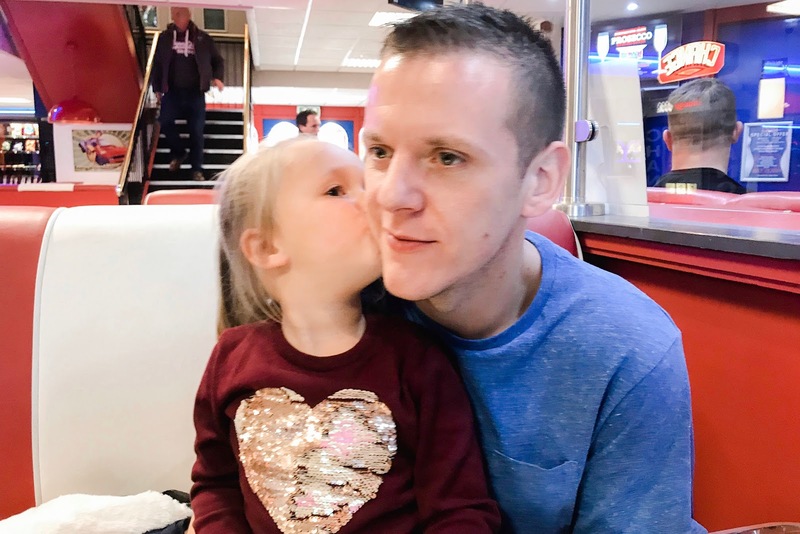 So with that, I thought that I would share some safety tips to help you plan that holiday to Disneyland Paris that you and your family have been dreaming of. The first thing you may wish to consider is the fact that there is safety in numbers. Did you know that single-parent families now comprise just about one-quarter of families in the UK? The latest statistics were mentioned on the Gingerbread website in September of 2018. It is quite revealing in that at least 67% of single parents work and that the majority of single parents don’t receive any kind of payments for child maintenance. 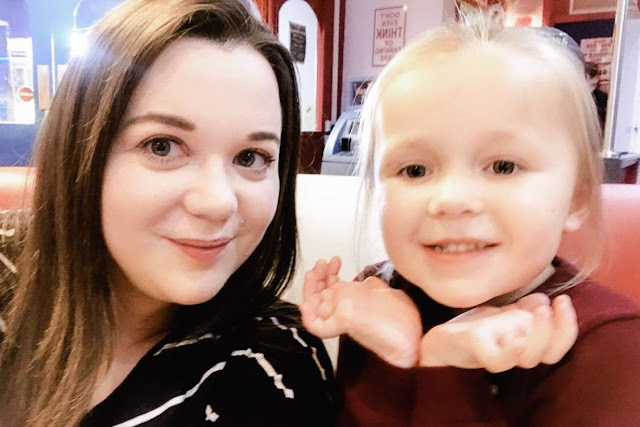 Knowing that there are so many other single parent families out there, it would stand to reason that there are support groups out there you may wish to join. It would be nice to go in a group with other single mums because there really is safety in numbers. When arriving at Charles de Gaulle Airport as a group, you could go on a group shuttle from CDG to Disneyland Paris where you’ve found a package deal on hotels. Book early and you can often get the best deals at hotels close enough to Disneyland that travelling back and forth each day is a quick trip to and from the park. Stay together as a group and you will be able to get around Paris to see other attractions as well. In fact, you can even book these day trips in advance as well with companies like easygoshuttle.com that will take you to and from CDG, as well as being reserved for day trips around the city. Their private Paris transfers will enable you to have a safe and comfortable journey free of any worry. The drivers are also English speaking, so if you have any worries you can speak to them. It’s far safer to have pre-arranged transport because you mums won’t be exposed to as many strangers who could take advantage of you and/or the kids. Unfortunately, many criminals do target single women with kids because they are perceived as being more vulnerable. Do you remember going around on day trips with your class at school? You would usually be assigned a mate to stay with during the day at the museum or another trip away from school. This is much the same. It’s more difficult to stray away from the pack if you shuttle or taxi from Charles de Gaulle to Disneyland Paris. Easy Go Shuttle can even have chauffeur driven taxis arrive at scheduled times to take you around Paris on any given days. Some would-be criminals also wait at airports to see which travellers are easy targets. Keep that in mind and you’ll understand the wisdom of taking a pre-booked taxi from Paris airport to Disneyland. Whether you can travel in a group or not, the key is that you are most likely to be a target when spotted as a tourist. Most criminals think you are most vulnerable away from home, especially as a woman with kids. Pre-book everything from transport to accommodations and you will be as safe as humanly possible. Sometimes you fancy a weekend away, somewhere to completely get away from it all, but without having to spend hours travelling. We recently found such a place that's only a couple of hours away from our home in Norfolk. With a five minute drive to the local town of Maplethorpe, surrounded by beautiful tranquil beaches we sure wouldn't be short of an adventure or two at Grange Farm Park. We enjoyed the beautiful beaches, the fabulous walks and revelled in the tranquility with the fishing lakes. It was one of the best weekends away. 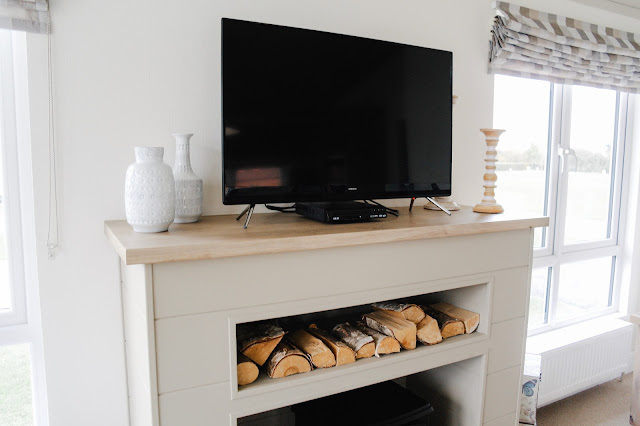 At Grange Farm Park there are many different types of accommodation that you are able to stay in. There are 8 cottages on site together with 5 well-appointed caravans, catering for all budgets and party sizes. Two fishing lakes offer fabulous on-site fishing for overnight guests and the play area offers something for the younger guests. At Grange Farm Park the cottages, lodges, bed and breakfast and caravans are available throughout the year. Some of the cottages and lodges also include a private hot tub, that are cleaned on a daily basis during your stay. We stayed at Breeze Lodge and as soon as you walk inside you will be in complete awe of the interiors. The decor is a mixture of earthy woods, warm textures that are more than complimented with smooth metallics detailing. All around the lodge you will have find some of the quirkiest pieces of decor that really add a certain character to the lodge and are perfectly placed. Both my husband and I loved the style and decor of Breeze lodge, so much so it's given us plenty of inspiration for our own home. Breeze lodge has a beautifully open plan kitchen that has been fully equipped with anything you may need during your stay. The dove grey furnishings in the kitchen are simple but spacious with an abundance of integrated electrical appliances to add to the luxury. The contemporary interior design with an open plan style gives families and friends the opportunity to spend more time with one another whether that's cooking a meal together, having a glass of wine or spending the evening chatting on the sofa. The open plan design ensures you spend as much time as you can with everyone. 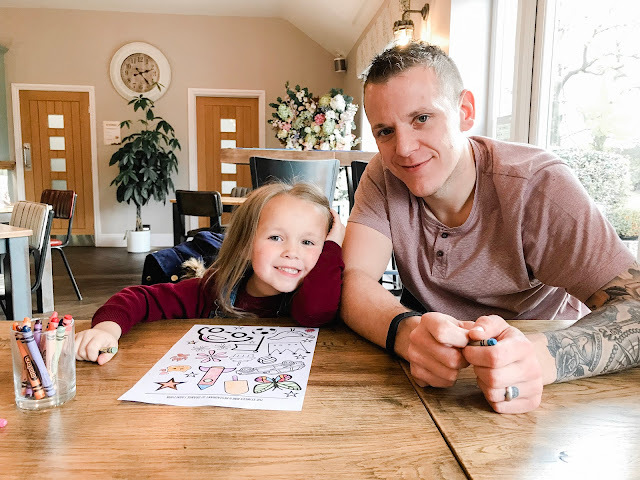 The dining area is just to the left of the kitchen and includes a beautiful grey wooden table and chairs to enjoy as many family meals as you can, it also features a large window so you can look at the lakes as you eat. 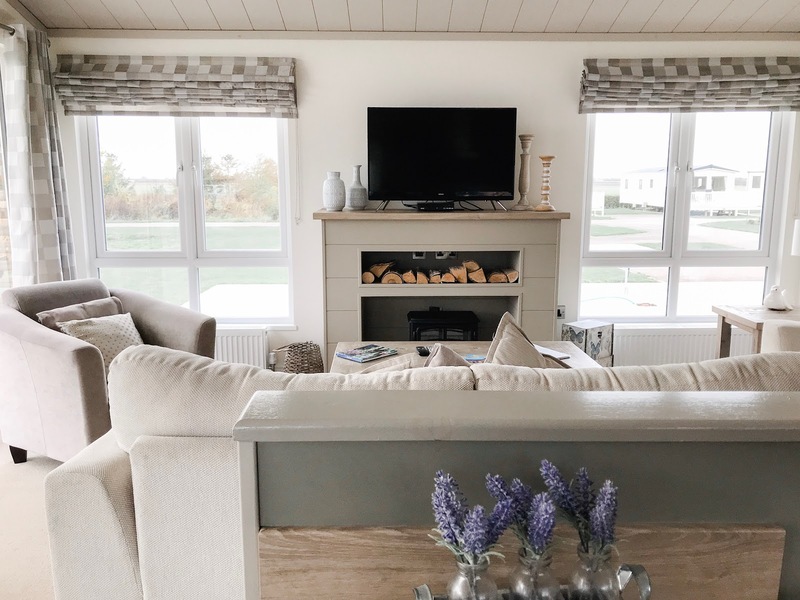 The living area is perfect for winding down in the evening that features a sofa, two arm chairs, television, dvd player and freesat and not forgetting the fire for the colder nights. There are two bedrooms at Breeze lodge that can sleep up to four people. The Master bedroom includes a king size bed with reading lights, a walk in wardrobe and spaciously en-suite shower room that has a lovely light purple theme throughout. The second bedroom has two full size single beds, double wardrobe with walled mirror and is further complemented by the stunning boutique family bathroom with spacious double bath. These bedrooms were the perfect size for the three of us. 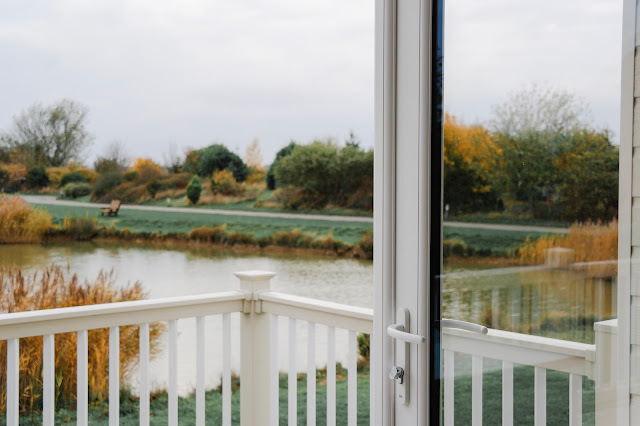 Breeze lodge also has a large decking surrounding which also lead into a small space complete with a table and chairs so you and your loved ones can overlook the tranquil fishing lakes every morning as you enjoy your coffee. One of the best features with Breeze Lodge was without a doubt the private hot tub and it was something that we enjoyed every morning and every evening. It was the perfect way to start and end the day. 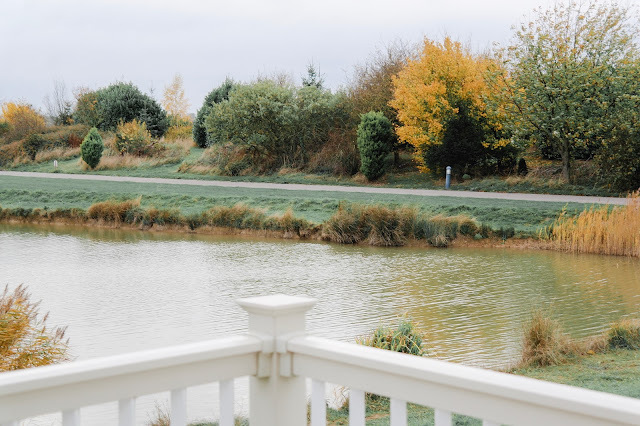 Grange Farm Park is beautifully kept and centred around some of the most picturesque lakes that are full of fish, that is a must for any dedicated angler. 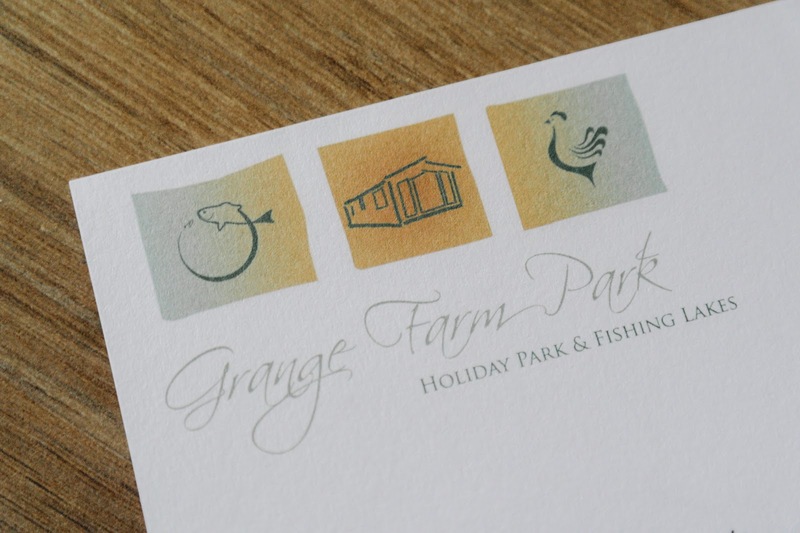 The excellent fishing that Grange Farm Park has to offer guests and residents is completely complimentary. There are two large fully stocked lakes to choose from that are thriving with life, you won't be short of an afternoon or two to enjoy whilst fishing. All the staff at Grange Farm Park are very helpful and super friendly and nothing is too much for them. 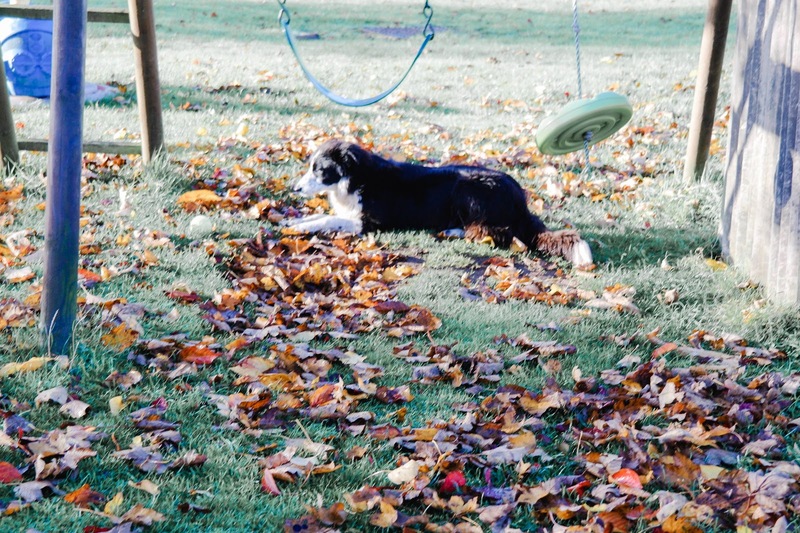 The atmosphere here at the park is very welcoming and family focused, and if you're lucky enough you may even be able to spot some chickens running around or play fetch with the friendly sheepdogs at the park. Our lodge was perfectly situated with the fishing lake just on our door step. The views surrounding were something else, with many trees and an abundance of wildlife that simply oozed tranquility. The Stables Bar and Restaurant incorporates a relaxed bar and outside terrace with lake views for guests wanting to drop in for an after-work beer or pre-dinner cocktail. The bar menu offers a wonderful selection of bottled beers, as well as house cocktails, Champagne and contemporary seasonal concoctions, alongside wines from around the world. 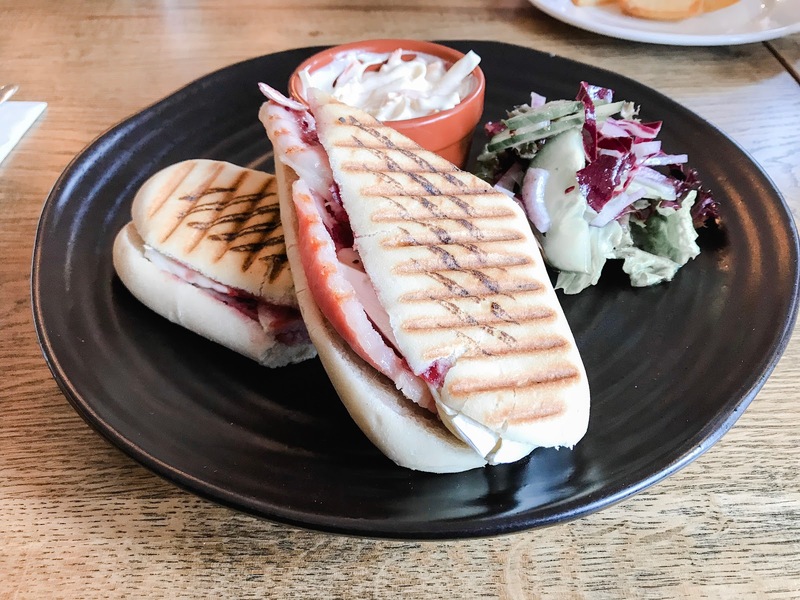 For those on the lookout for a quick bite, The Stables offer an affordable and express option for breakfast, lunch and afternoon treats, serving sandwiches, paninis, soups, pizzas and homemade treats, most ingredients have also been locally sourced. We ate at The Stables a couple of times during our stay, and it's definitely something that all guest must do during their stay. 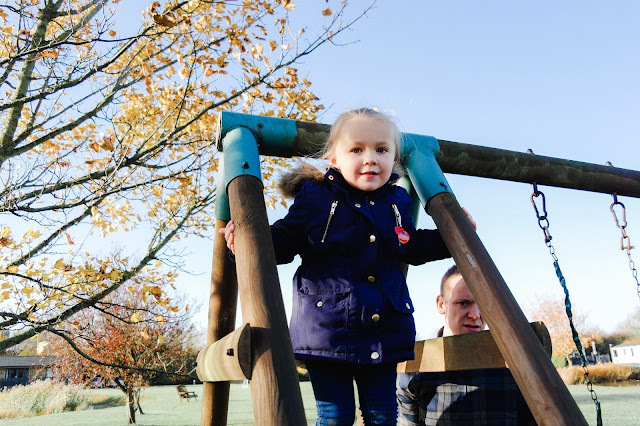 Grange Farm Park is situated in an idyllic location that is within easy walking distance of the local pub, fishing lakes and a 9-hole gold course so you definitely won't be short of an adventure with the family. However for the days you feel you need to explore and adventure. Grange Farm Park is surrounded by beautiful beaches of Mablethorpe and with Sutton-on-Sea only a car drive away, or if you wish to go further afield you could visit Great Yarmouth, Skegness Pier, Fantasy Island, or Ingoldmells. You will love spending some time here at Grange Farm Park it's in a really good location for those who are seeking adventures on foot, and great for those who fancy a little drive. We really enjoyed our stay at Grange Farm Park and it was one of the best weekends we have had in a while, we shall be back. A Bathroom Remodel: Where to Start? It's spring and what comes with spring? The beautiful sunshine, spending afternoons in the garden, blues skies and pretty flowers. It's also the perfect time of year to make plans for the coming months and that ever growing list of tasks that we never seem to get around to doing . But like most families, life can get busy and things can take a back seat. We all need a helping hand sometimes, whether it's a plumber, handyman, photographer or even a party planner. For all these types of professionals we normally find ourselves trawling through pages on the internet, or looking through adverts in the local newspapers. It can be such a tedious task, but something we need to do. Every year we like to make changes in our home and there are two rooms in particular that need some focus and that's the kitchen and the bathroom. These two are pretty big jobs and needs a lot of planning, so we have decided to start with a remodel of the bathroom. There are many small changes that make a big difference to the style and function of your bathroom. Whether you’re planning a practical family bathroom, en-suite, wet room or full-on home spa, there really is so much to consider. When we spoke of a remodel I honestly didn't have a clue where to start, I think that the only thing we was confident with is that we wanted a beach theme, original I know, but we love anything nautical. But then we began to ask ourselves all kinds of questions. Both my husband and I needed to decide whether we wanted to install the bathroom ourselves, project manage other trades to fit your bathroom, or get a bathroom specialist to design and then see it through to completion. 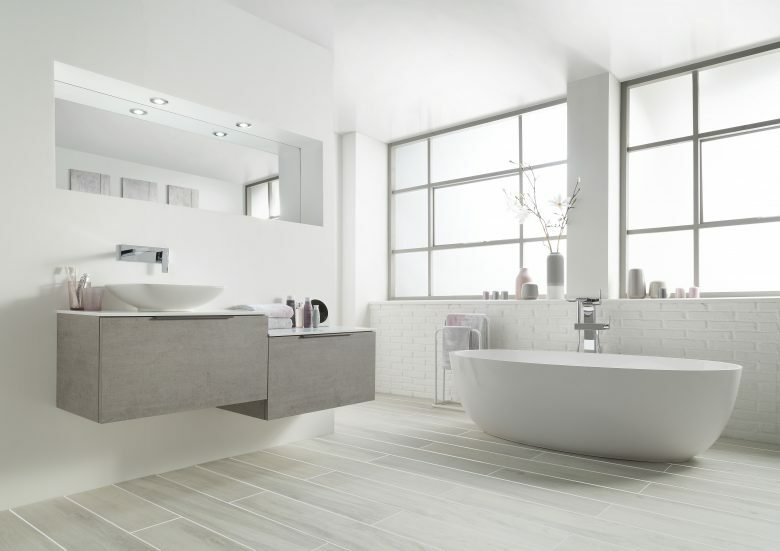 Do you need bathroom design consultation advice? 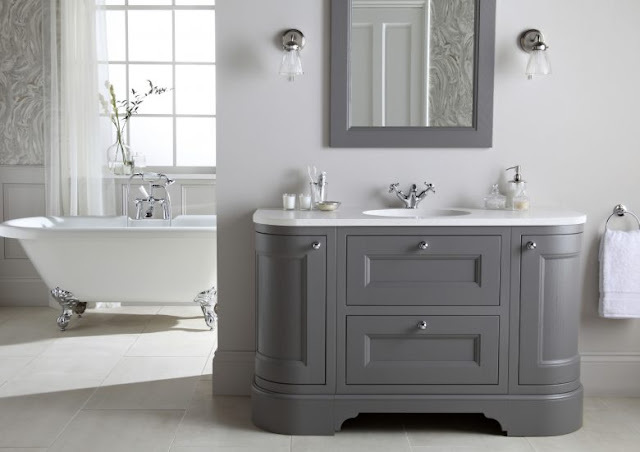 Visit Harrogate Bathroom Showroom and their designers will design a dream bathroom for you. A bathroom remodel isn't a walk in the park. It's all about plumbing, electrical, and tile work which are all highly skilled trades. Have you ever put up a tile, not knowing what you're actually doing? Hmmm I have and let me tell you, it's hard work and there's a lot more to consider than you think. It's dense, tight work, too. And then there are the frequent surprises, such as when you find rotting walls and joists below a leaky shower. As we started to pull some tiles away we discovered that a whole wall had rotted and we needed a completely new wall. That's without mentioning that many of us don't like to be without a bathroom for too long so there's a time frame to consider. 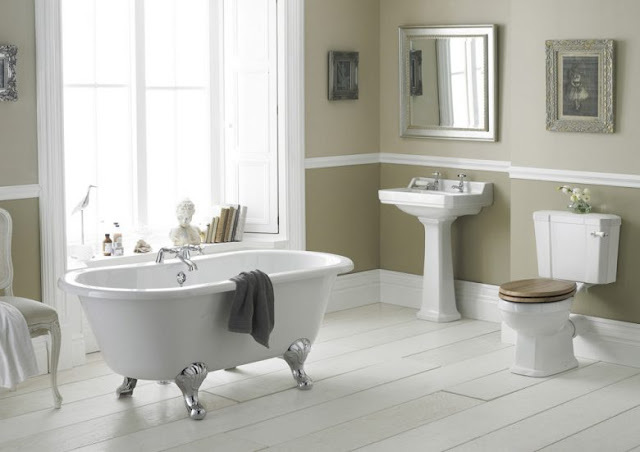 Fitting a new bathroom undoubtedly requires time, patience, a moderate level of DIY knowledge and the right materials. Many people choose to tackle a bathroom remodel on their own, whilst other choose a place to task in the hand of professionals. But which option is best for us? My husband is pretty great with his hands but works in a high pressure job and wouldn't be able to carry out the work in a weekend? What exactly will a remodel involve and will taking it on ourselves save us time and money, or do the exact opposite? Personally with a remodel and so much to consider the most obvious solution was to call in the professionals. Companies that pride themselves on perfection in work and that has some brilliant values that promise to help support the customer, understanding their needs and consider other factors too. Yes, there's only one real reason why you wouldn't hire professionals to handle your bathroom remodeling job. But it is a very important reason. The cost. Now this is the most obvious reason why many choose to carry out the work themselves. When it comes to a bathroom remodel the biggest things to take into consideration is the cost. Even the smallest bathroom can cost more than £5,000 but if you need a complete overhaul you could be looking at more than £15,000. It can vary. In almost every instance, you will save a big chunk of money by carrying out all the work yourself. The bottom line is that most people with a moderate amount of experience could do at least the surface modelling of a bathroom. But consider if there is a bigger overhaul needed, like with us and the rotting walls and joists. It seems as if the bathroom remodel is going to take a lot longer than we thought. So could we actually be able to do it ourselves? Yes, we have already seen that the cost savings are substantial. But what else needs to be considered? A complete overhaul with a bathroom can take a lot of time, and for us personally time is not something that we have a luxury of, so we would need a bathroom in and out in less than a week. Now is this something that both my husband and I could commit to? Honestly, probably not! We both lead busy lives and have a young daughter so a turnaround of a week would HAVE to be enough time. As busy homeowners squeezing remodeling work into a busy schedule may take a lot longer than we would if we hired contractors to carry out the work. You also need to take into consideration that fact that we don't have an extra bathroom or en-suite so we would be pretty imperative that we hire some pros when it comes to a remodel. The main advantage of having professionals install a bathroom is simply the convenience. A professional crew of two or three workers can navigate most of the things to take into consideration and into place and mount them quicker and easier than you can do it. You will at least be confident in knowing that it's been installed correctly without question. Installing any electrics or piping is tough, my husband does work in engineering but doesn't mean he will know everything that comes with electrics and piping. In a nutshell, by hiring professionals from design, installation to completion would be more beneficial to our bus lifestyle. We won't have the task of designing, or be under any kind of stress or consider any time frame to work with. Professionals will ultimately do the job better and faster than we ever could could. Unlike other rooms in your house, remodeling a bathroom can be quite technical. Where you can get new curtains or change wall paint to give your bedroom a new look, you have to deal with the underlying structure of plumbing and electrical system for remodeling a bathroom. Layout changes, such as switching toilet and shower all require professional services. Therefore, it is always a good idea to hire professional services so that you can get it right the first time. For our bathroom remodel we did consider carrying out the work ourselves, but in all honesty, neither my husband or I have to time or the knowledge to carry out such tasks. By hiring a professional team from designing, the structure, to installing through to completion made complete sense to hire professionals. It's a no brainer. So if you're thinking about a remodel of a bathroom and you're not sure whether you should carry out the work yourselves or hire someone professional from on our experience going to professional is the better choice. It's quicker, stress free and you don't have to worry about a thing. Yes, you will have to be willing to part with some cash but at least this way you'll know that the remodel has been carried out correctly without any problems. Personally, I don't that it's such a big sacrifice when you look at the bigger picture. In collaboration with Harrogate Bathroom, but as always my words are my own and the images have been provided by Harrogate Bathroom. I have been trying to make my home more energy-efficient recently. Improving energy efficiency isn’t just good for the environment, but also good for the wallet. After a couple of changes, I began seeing a steady decline in my energy bills. There is a lot you can do to improve your home’s energy efficiency too. In this article, however, we are going to start with the top four ways to increase the efficiency level of your boiler. Let’s have a look, shall we? A well-maintained boiler will operate at its optimum capacity all the time. I used to skimp on regular maintenance to save money, but that was clearly a mistake because I ended up losing more heat and spending more money in the long run. Regular maintenance is much more affordable if you get boiler cover. If you’re looking to get covered, the company Certi UK offer packages that include regular maintenance, emergency repairs, and free boiler service if needed. It is certainly more affordable than dealing with bigger repairs yourself due to lack of maintenance. You can also get home emergency cover. This means you are paying for a complete coverage for the cost of regularly maintaining your boiler. Sounds like a great deal, doesn’t it? Another thing I did to save energy is invest in a smart thermostat. It is worth noting that lowering the thermostat by 1 degree means saving up to £100 a year. Automating the process allows you to save even more without the extra hassle. An automatic thermostat that can be connected with a smart hub – like Google Home or Amazon Echo – gives you that extra flexibility of being able to control and monitor the interior temperature remotely. Instead of leaving the central heating on the entire day, you can have it automatically adjust the temperature when no one is home. Speaking of controls for your heating, it is also a good idea to fit a thermostat in every room. This allows you to individually control heating in each room in a more precise way. Home boiler water treatment is a worthy investment to make. It serves one important purpose: keeping the water in your heating system flowing smoothly. The result is more efficient heating and prevention of corrosion and other long-term issues. Consult with the manual for your boiler or the repair specialists maintaining your unit about the best additives to use. There are a lot of boiler water treatment products on the market, so you should be able to find one that suits your needs and budget perfectly. The last thing you want to consider is switching to a cheaper and greener fuel. Similar to the additive we talked about earlier, there are more options when it comes to fuel for your boiler. This is a big step to take, but the long-term saving is well worth the investment. 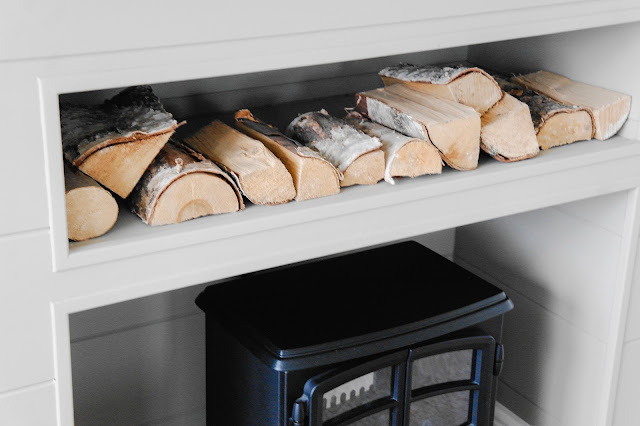 Apply these tips to start improving the energy efficiency level of your central heating. The steps you need to take to get started are very simple; the long-term effects, on the other hand, are profound and worth pursuing. As parents we want the best for our children and we want to encourage our children to learn, be creative and in doing so flourish in their development. And the best way for our children to do that is to play. Now I must admit when it comes to picking the best toys to help and encourage my daughter, it can sometimes be a little tricky. We have all been down the toy aisle overwhelmed by choices. My daughter tends to make a bee line for the flashiest, noisiest, most colourful toys, and in her pursuit tends to overlook some of the classic wooden toys. Personally I prefer getting children wooden toys as I know that it's going to be something that will be able to withstand little people and can even be passed down from generation to generation. Wooden toys are timeless classic and have never really gone out of style. Now I can't say that wooden toys have climbed their way up into the list of most wanted toys, but they have been enjoyed by many children over generations. There are so many reasons why wooden toys are the better choice, not only for your children but also the environment too. They’re more durable, biodegradable and may even be made with sustainable wood. 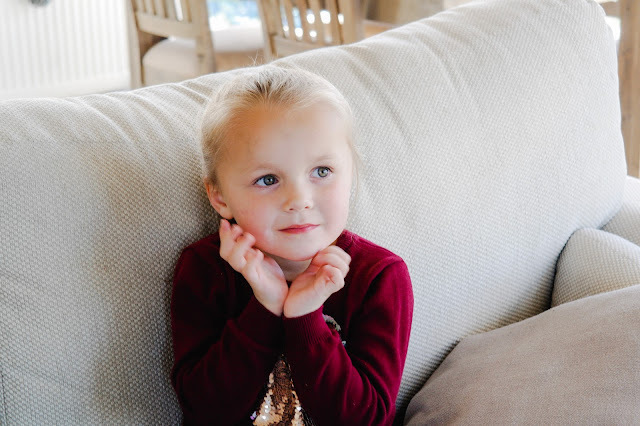 My husband and I have always got our daughter wooden toys because of these reasons. 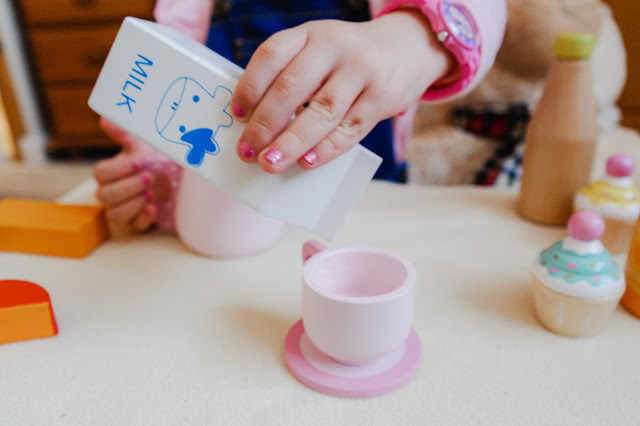 While some wooden toys come in the shape of vehicles, food, or common household items, they still encourage children to use their imaginations to unleash some learning into play. 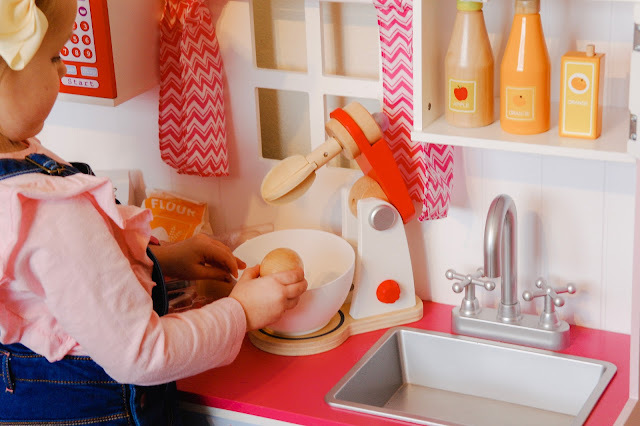 A couple of years ago we got our daughter a cute pink and white wooden kitchen for her second birthday, and I have to say it ones of those toys that she loves to play with. 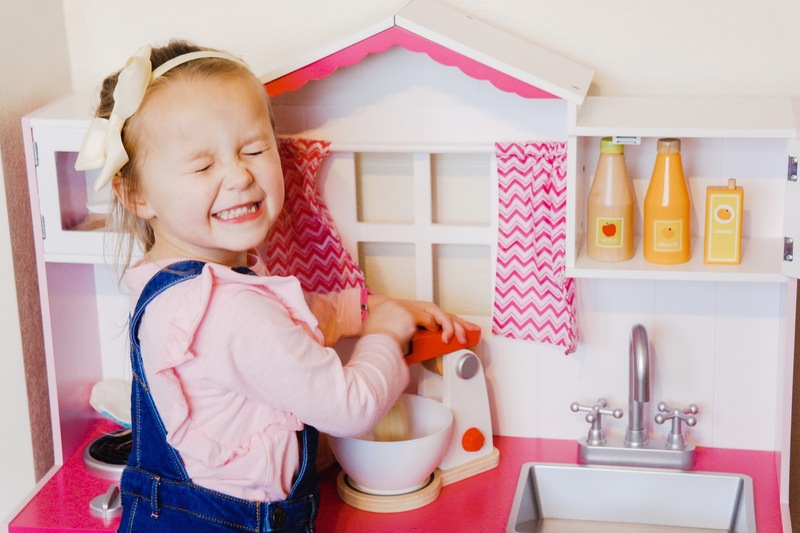 Over time we have been adding new toys to her kitchen set up so she can really explore their uses and come up with creative ways to use them. 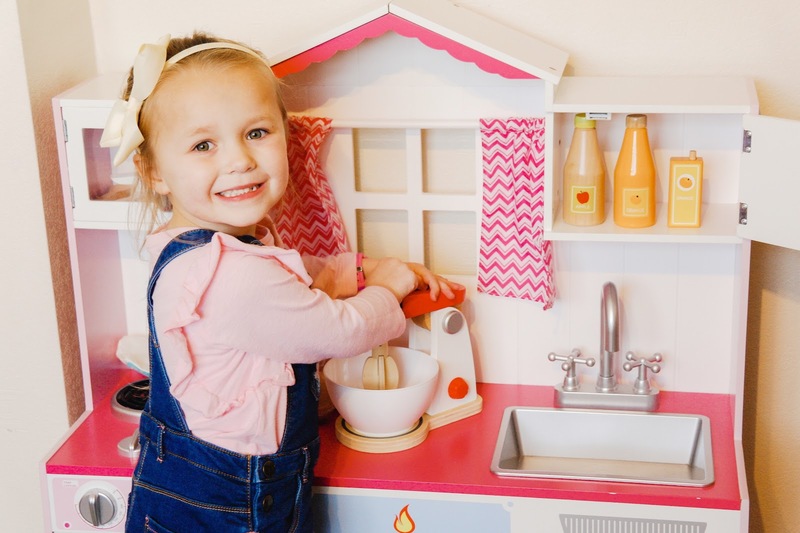 With a little help from Hape Toys we were able to encourage creative play and allow our daughter's imagination unravel, and she really loved cooking up a storm. 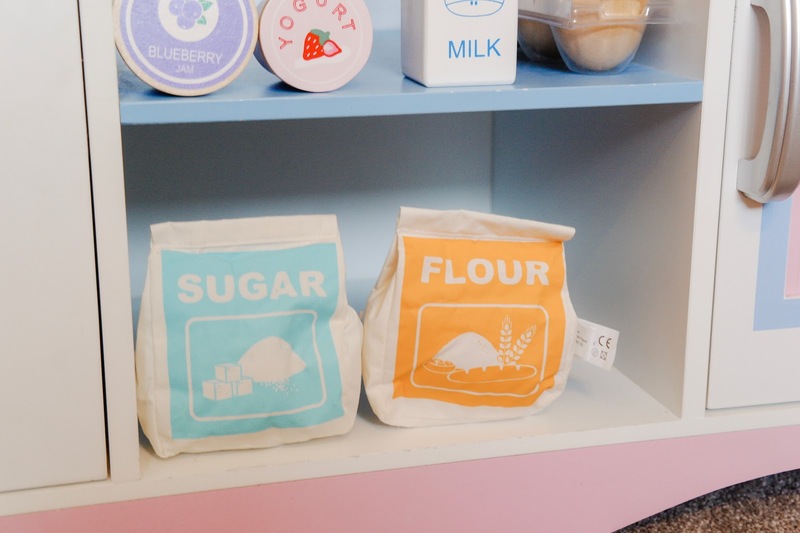 Now you can't possibly cook up a storm without some healthy food basics, can you? This Healthy Basics set includes eggs in their own container, cheese, yoghurt, blueberry jam, orange and apple juice so little ones can make a healthy meal for all of their friends and family. Hape is one of the world's largest producer of wooden toys made from sustainable materials that are both creatively designed and eco-friendly. So you can understand why they are so popular when it comes to looking for wooden toys. As well as these Healthy Basics we were also kindly send over a Wooden Mix & Bake Blender, you can't have a tea party without baking some imaginary cakes made from scratch, can you? 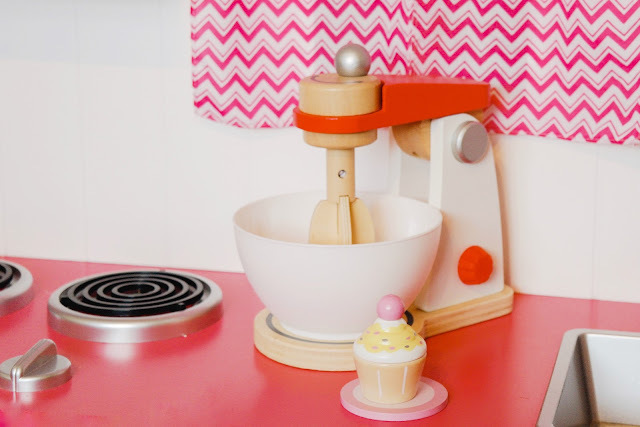 With this blender, children can make believe baking, using their own packets of sugar and flour, mixing bowl and rotating blender. A little baker in in the making with this blender. 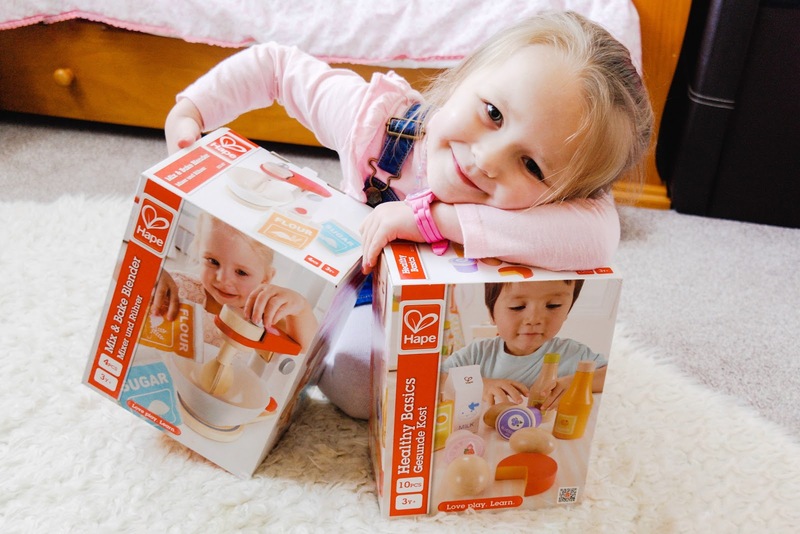 In this cute little set from Hape you will get 1 bowl, 1 packet of sugar, 1 packet of flour. You simply turn the knob on the blender and the beaters turn and the top flips up so you can remove the bowl. Perfect for making lots of tasty cakes. 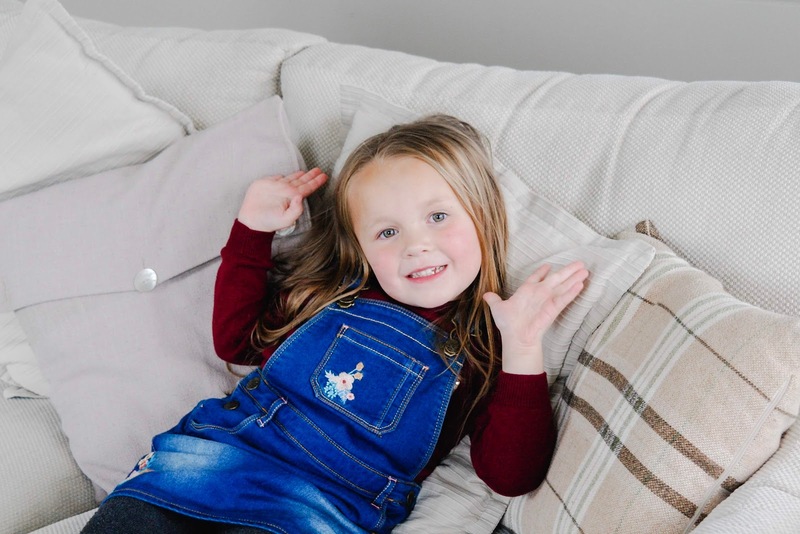 With my daughter I have always found that a little imaginary play has done amazing things for her communication and social skills. For one pretend play helps children naturally develop and use their cognitive abilities and skills. Through using their imagination they develop creativity and learn to think for themselves. It's very important for a child to have a space where they can feel free to express themselves and live out their imagination. I'm sure I am not the only parent that likes to sit back and listening to their child's imagination unravel. 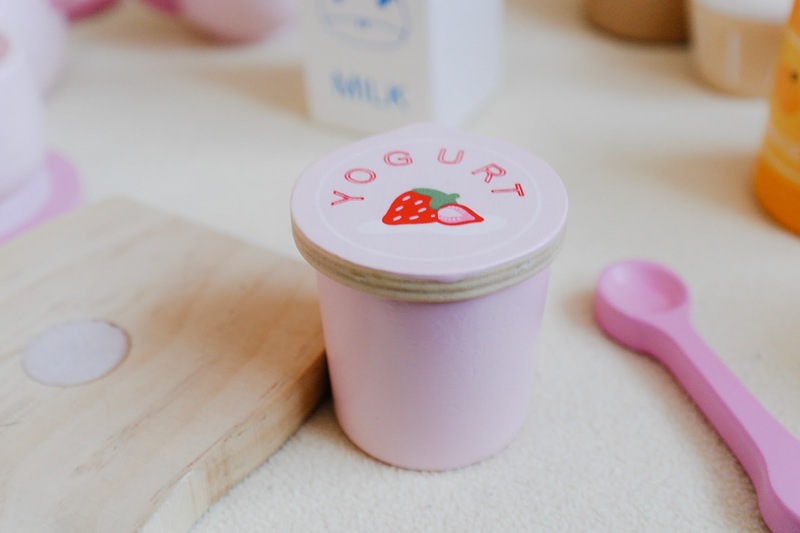 When you're down those toys aisles that are overflowing with the flashiest, noisiest and most colourful toys they can be quite tempting, but don't shy away from those wooden toys that are in basic packaging. They can be just as good. 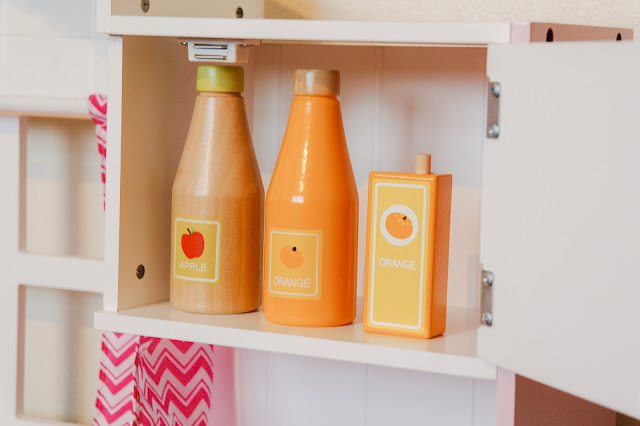 There's room for some plastic but there is room for wooden too, these are more likely to be better for your child's development and their imagination. 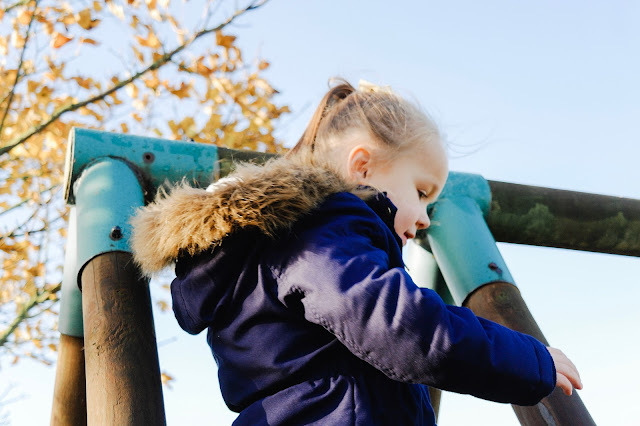 Toys made from quality wood or natural materials are both healthier and allow children to think more creatively during playtime. 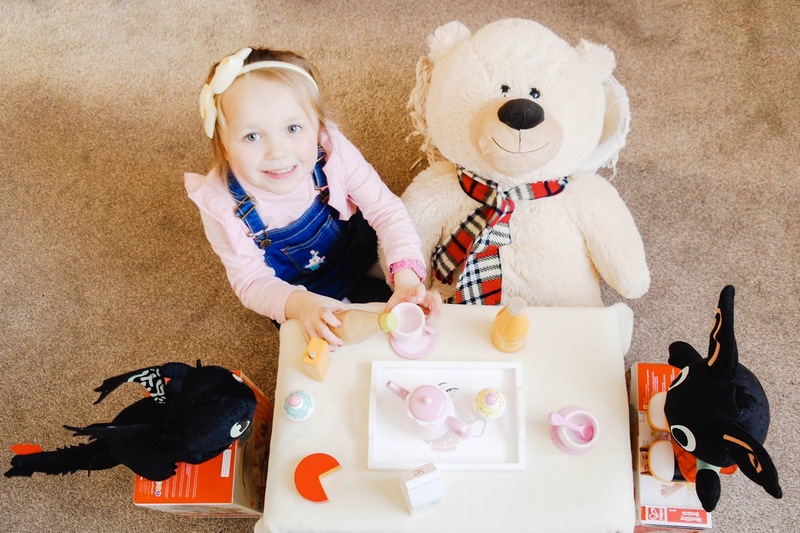 We were kindly gifted a bundle from Hape Toys for the purpose of this review. But as always my words and images are my own. Now when it comes to creating special limited editions boxes, GLOSSYBOX know exactly what they are doing and are pretty much slaying it. I am a big fan of these boxes and they always sell out quickly, just like their Karl Lagerfeld and Model Co boxes that sold out in a few days. 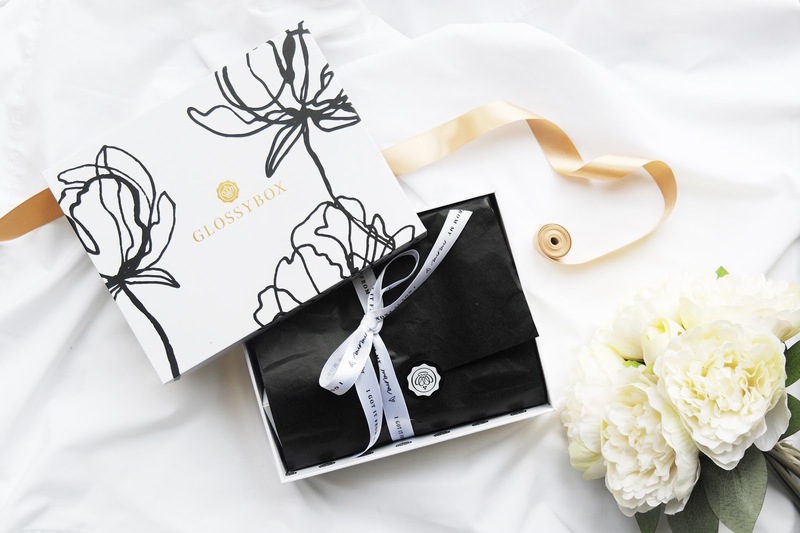 With Mother's Day at the end of the month it's the perfect time for GLOSSYBOX to bring out another limited edition for us mamas out there. The Mother's Day Edition certainly packs as punch and is jam packed full of exciting products that any mama would love to open on such a special day. The limited edition box contains nine beauty treats with a value of over £100, as soon as you open the box you will see so many great brands that you would have come across and perhaps discover a couple that you are yet to try. Personally, I think that this is a great little gift to get your mama for Mother's Day or you could score major points and get her a subscriptions so she can enjoy for many months to come. But whatever you do, this limited edition box will certainly make an impression and is a little bit brilliant. 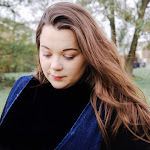 If you wanted a sneek peek then please read on. Like I said this limited editions is jam packed full of brilliant brands such as bareMinerals, Peter Thomas Roth, Laura Geller, Clarins and Yankee Candle are all featured in the Glossybox Mother’s Day 2019 edition. 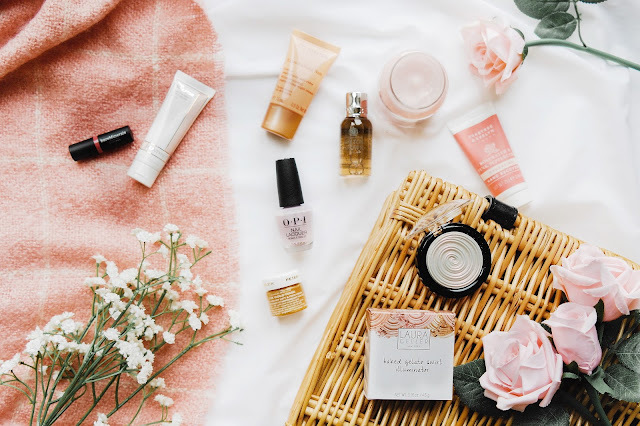 I have used a couple of these products before but there are a few that I have yet to discover and I think that's why I love these types of boxes it gives you an opportunity to try before committing to a bigger purchase. 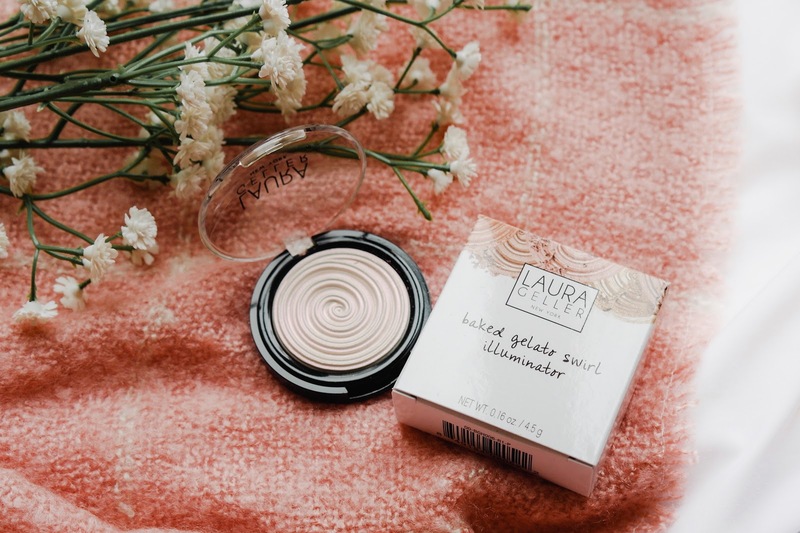 I was very excited to see the Laura Geller Baked Gelato Swirl Illuminator in the box as it’s such a gorgeous shade. I have also used a couple of products from Laura Geller so I can completely get behind the hype. This gorgeous highlighter is everything you could wish for and more when it comes to giving you a subtle glow that we all desire. The pigmentation is crazy good and the colour payoff when applied is amazing. For someone who loves the perfect glow on their skin all day this is an amazing product for you as it's so easy to blend that you don’t need that much. I would highly recommend this product. It is slightly pricey but you get what you pay for because you don't actually need a lot of product. I don't know about you, but I'm so over winter! 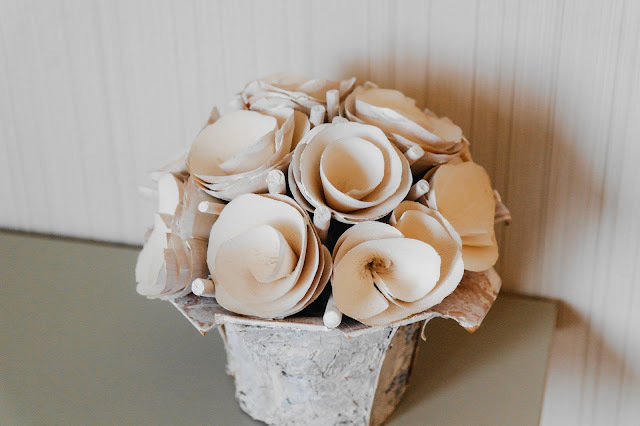 Bring on the warmer weather and all the pretty flowers that come with spring. I also like the start of a new season because it gives me an opportunity to shake up my skincare routine. 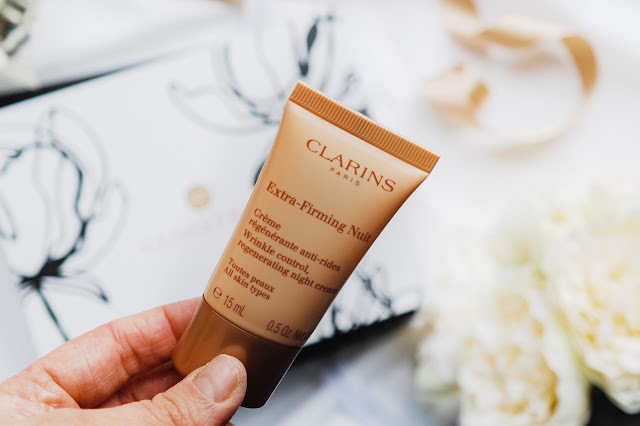 This Mother's Day Limited edition features a Extra-Firming Night Cream from Clairns. It's been a little while since I have actually used this brand so I was more than willing to use this in my night time skincare routine. This night cream visibly firms, tones and improves skin’s elasticity with the wrinkle-fighting power of hydrated silica of Moonstone extract. It claims that I would see a difference in just two weeks. It's definitely something I need more of the older I get. This night cream feels so light on the skin and absorbs really quickly. The consistency is quite thick, which I like. However, it's totally non-greasy and leaves my skin looking nourished. I really like this night cream as it even makes my skin look really good without foundation, it has a light scent which is always a great thing when it comes to skincare products for your face. bareMinerals. BAREPRO Longwear Lipstick RRP | £20 (deluxe mini 1.5g worth £14). I adore mini lipsticks. 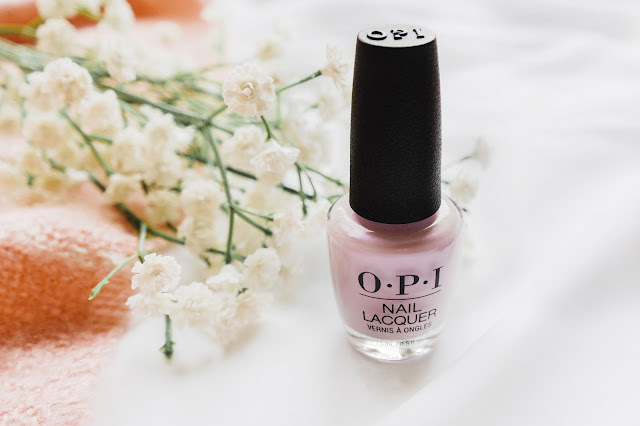 They are a great way to get a feel for a colour before making a big purchase and this one is a gorgeous shade of pink, who doesn't love a pink lip for those days where you want to feel empowered. It’s richly pigmented and feels long-lasting without being drying. I am new to Bare Minerals and I am happy to report that I am pleasantly surprised with the quality of their products. This formula really is long wearing which is great for the days that you are on the go. This little mini has already made it's way into my handbag and would be perfect when going out out too. Now I have never really come across any products from Peter Thomas Roth so I was very excited to try this mask. This 24K Gold mask helps firm, lift, brighten and calm the appearance of skin which is something that I really could do with at the moment, one too many midnight wake up calls with my daughter. Muff said. This mask is rich and luxurious. Although you are supposed to use a thick layer, I don't think it's necessary. It's quite expensive but you get a huge tub. The only downside to the product would be the packagin as it's see through and plastic, making it look cheap. However, despite that it's a good product and a must do on Mother's Day. The Crabtree & Evelyn Rosewater Hand Recovery is a dual-action formula developed to alleviate dry, rough skin on hands. 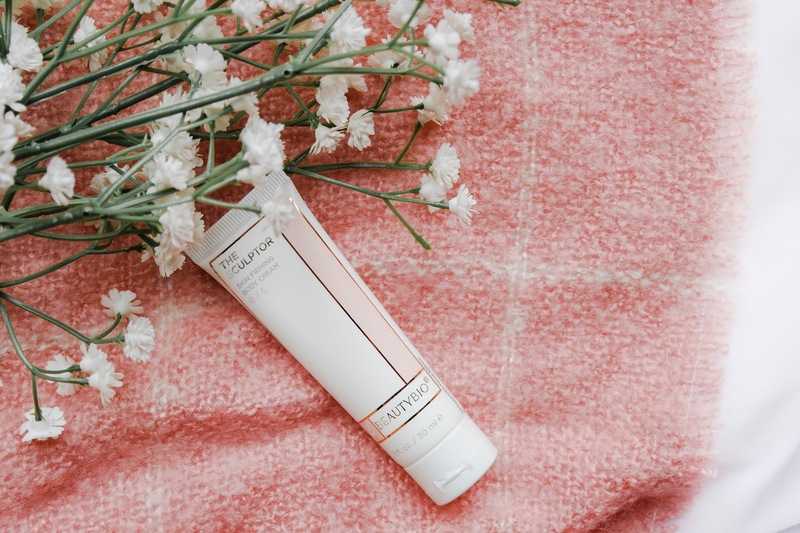 Enriched with ultra-hydrating Rosewater, it combines the moisturising elements of a hand cream with gentle exfoliants to effectively slough away particularly dehydrated and calloused skin. I have used some of Crabtree & Evelyn lotions before and they have always smell so yummy and do wonders for my skin. This is a good one to add into my handbag for the cold school runs in the mornings and afternoons. I have quite the collection of different hand cream building up in my skincare basket for some reason but this one is staying with me as it's smells so good. I have had a few shades from OPI and I have to say that they have some super staying power, however this shade shortfalls. I actually wasn't that impressed. I found it very watery and difficult to not end up with streaky looking nails. Even if I added a couple more coats it didn't sit so well on my nails and wasn't so great. I don't know if the one I got was just the odd one out but I wouldn't say it was worth trying again. There is always room for another body wash, and this one arrive in great time as I had just run out of body wash, however this Molton Brown was a little more luxurious than my usual go to products. Firstly the body wash has an irresistible aroma that blends notes of fresh Mandarin and Elemi with Tuscan Orris, Rose and Jasmine Absolutes, Labdanum and Cedarwood. It's so good. The body feels rejuvenated and delicately scented after use. As lovely and indulgent as this was for a shower gel, it's very pricey. Personally body wash it's not something that I would splash out on. So I was really excited to see this sculptor in the box as this little cream helps to tackle stubborn thigh and body dimpling. Firming sea algae helps improve elasticity and leaves your skin feeling hydrated and super smooth. After a couple of sessions with a body roller I could see a little difference in my skin, Now meanwhile I still have those dimples my skin feels so hydrated and smooth. Personally, it a tad on the expensive side and would be a splurge items I would get every so often. Is there anything more relaxing that a gorgeous candle, a good book and a box of chocolates? This is what every Mama needs to do on Mother's Day. So seeing a cute little Yankee Candle was a big bonus, it's such a good idea to feature on of these in this limited edition box. Each box will receive one of four scents from Sundrenched Apricot Rose, A Calm & Quiet Place, Fresh Cut Roses, or Blush Bouquet which is the one we recieved. All are perfect for spring time. 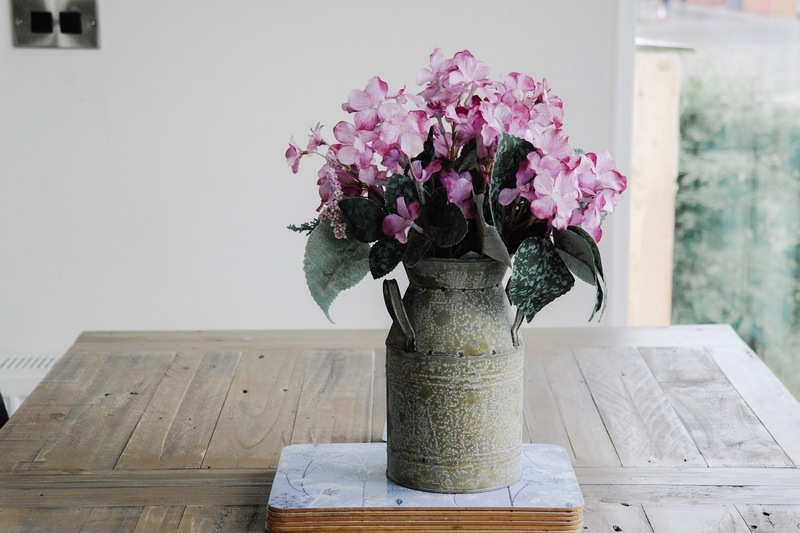 And that’s a peek at the Mother's Day special edition with GLOSSYBOX, so what did you think? I must admit, this box is pretty epic and has so many great products that are full sized as well as a couple of cute minis. Yep, an impressive box and well worth it's price. So grab yours for £25 or £30 for non-subscribers! But be quick, so you don't end up on the waiting list!